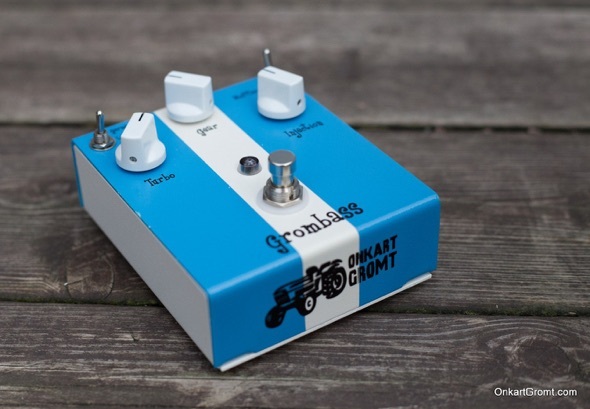 Grombass is an analog overdrive/distortion effect for bass guitar. It has a microcontroller inside that controls the gainstages. This is Arduino(TM) compatible. It is named after the tractor the designers dad had at his farm when he was a kid; “Grombasen”. It has three modes of distortion. 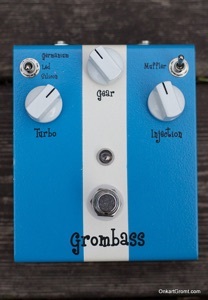 The Grombass has 2 outputs; one distortion and one clean. This way you can either use it as a clean boost or a distortion. The Boost functionallity will work on both outputs. 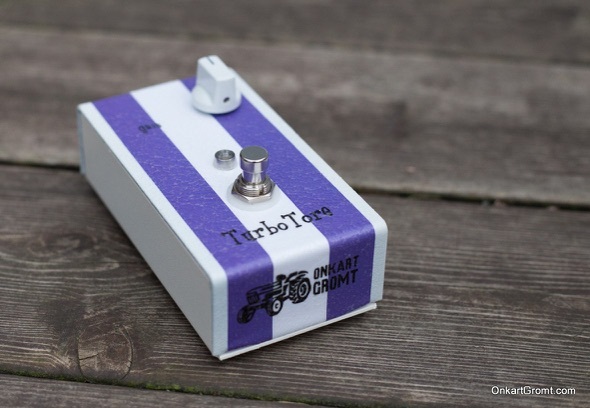 The distortion in the Grombass is inspired of one gain-stage of the BigMuff. This gives a combination of the clean signal and the distorted, leaving the lowest frequencies intact through the effect. It is also input for an expression pedal. 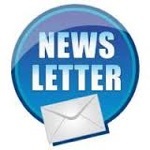 This will increase the gain and reduce the output level at the same time. Giving you the same level, but with more fuzz. All analog sound. The power input is quite unique. You can use 7-20V DC (positive or negative center) or 7-18V AC. Min current is 200mA. 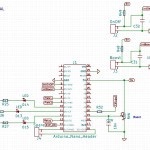 Inside there is a isolated DC/DC converter that supplies the analog end of the effect with +/- 9V. This gives a headroom of 18V. And the best thing of all? It is isolated from the digital part of the box. So you don’t get any nasty digital noise in the signal chain. And you do NOT need an isolated power supply for this one. 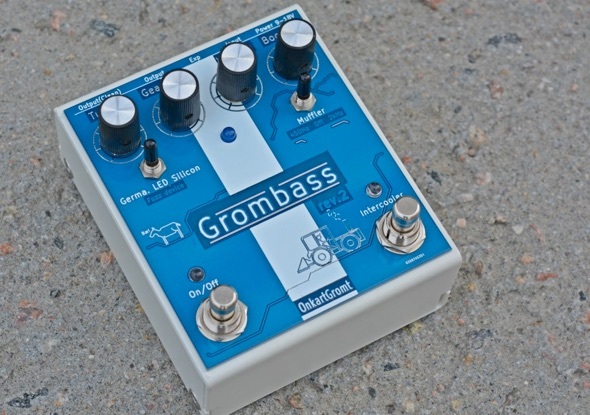 Grombass is the one distortion/drive effect for bass that you will need. It has a wide range of sounds; from slightly boosted to synth- like distortion – always preserving the low ends! The trick is done by NOT distorting the lowest frequencies. Just the ones above a certain freq. This keeps the punch and power. Do not suffer from the usual lack of bass response in a bass distortion. 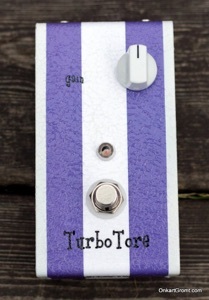 “Turbo” is the gain on the input. “Gear” is a tone controller that controls the gain of the lower frequencies. “Injection” is the output volume. Besides these controls, there is a potentiometer inside to adjust the input level – if you want to use it with an active bass. Inside you can adjust the high’end +/- 3db with a trimpot.